Visit Wales and one thing soon becomes clear. This is a country of people who enjoy a pint of ale. One of the oldest breweries, and possibly most well-known in Wales is Brains Brewery, which was founded in 1713. Samuel Arthur Brain bought it in 1882 and it is going strong, managed by members of the Brain family. Brains still offers the first beer it brewed in 1882 – the Brains Bitter. Catering to changing tastes and clientele, Brains has introduced craft beers and seasonal ales. 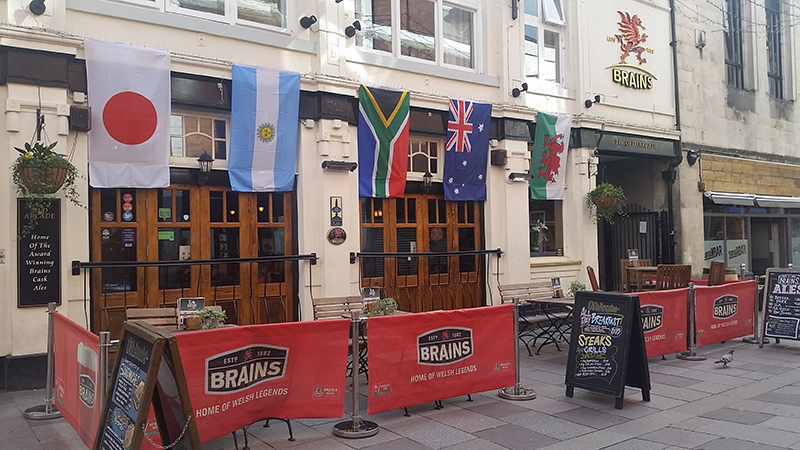 If you visit Wales, you can enjoy a Brains ale in over 250 pubs across the country. Another favorite that has endured is Felinfoel Brewery in South Wales. It is located in Felinfoel, a small village just outside of LLanelli. Before the brewery was built, Felinfoel started as an inn, brewing its own beers, but only during the winter months in order to preserve the quality and strength. The beers became popular and Felinfoel soon started brewing for other inns in the area. That led to the construction of a brewery in 1878. You’ll find many pubs that carry Felinfoel beers, especially along the South West coast of Wales. Ever wonder how the word “pub” came to be? It stands for “public house” and in small villages across Wales (and Britain and Ireland among other countries), it was the central gathering spot for the local community. Before public houses were in existence, there were alehouses, typically a private home where they made their own ale brew. Travelers would stop for the night and enjoy a pint of home-brewed ale. As others wanted to enjoy a pint, alehouses grew in popularity and eventually they evolved into the public house. The Gywdyr Inn in Betws-y-Coed, Wales – its pub is a popular gathering spot where you can enjoy a Welsh Pride from Conwy Brewery. Over time, the name public house has been shortened to pub, but it still remains a social gathering spot, whether in a country village or a city neighborhood. An original pub sold traditional cask ales, but today the world market has diluted this. 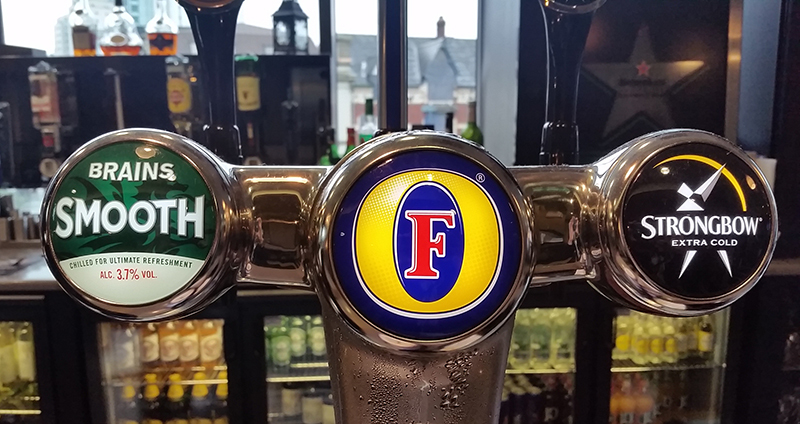 Walk into a pub in Wales today and there’s a good chance you’ll find a Heineken, Fosters, or Coors Light on tap next to a Brains Ale or Felinfoel Stout. But changes are happening. The beer scene itself is changing. New breweries are branching out from the traditional ales – and experimenting with small-batch craft beers. The North West of Wales is home to several up and coming breweries, including Conwy Brewery in Llysfaen. When they opened in 2003, they were the first brewery to open in north Wales in over 100 years. Today, they produce both cask and bottle conditioned beers, as well as small batch craft beers. A current favorite is their Welsh Pride, an amber ale. Conwy offers a brewery tour with a beer sampling afterward. It’s a perfect way to check out the charming village of Llsyfaen and to try a tasty Welsh ale. 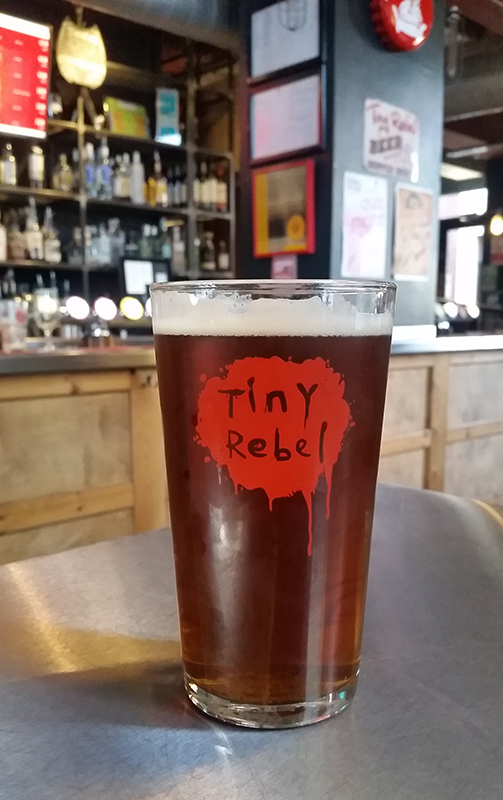 Tiny Rebel Brewery in the south Wales town of Newport, has also enjoyed incredible success in a short period of time. Starting out of a garage in 2008 by two friends, they officially launched their first beers in 2012. Tiny Rebel now distributes their award-winning beers globally. In 2013, they opened Cardiff’s first-ever craft beer bar, the Urban Tap House. It is worth a visit. They have both cask and keg style beers. They have kept the traditional cask-style beers (kept at 11 degrees Celsius, about 51 degrees Fahrenheit) as well as keg-style beers (kept at a cooler 5 degrees Celsius, about 41 degrees Fahrenheit). Cask beers are a more smooth beer, while a keg-style beer is a more carbonated beer with a “tingle on your tongue” as the bartender at Urban Tap Room explained. After a day of sightseeing in Cardiff, you should head to the Urban Tap House for a Cwtch – the Welsh word for a cuddle – and also Tiny Rebel’s award-winning Welsh Red Ale. While many traditional pubs have closed their doors in recent years due to declining popularity and changing interests, you’ll still have plenty of options to choose from. Take a walk around a city neighborhood or country village and you’ll find a pub waiting to welcome you – with a pint of ale at the ready.